"A Feminist Interpretation Of Women's Work With Koloa In The Tongan Community"
The San Francisco Bay Area is home to a Tongan community where the Tongan culture has been established. A major factor establishing Tongan culture is women’s work with koloa. Koloa are cultural materials used to fulfill customs and traditions specific to Tongan culture, which are under the control of women where they produce, possess, gift, as well as exchange koloa. Historically, women have governed the koloa tradition as guardians preserving their tradition. My thesis exploration focused on three main subjects—women, koloa, and feminism. The point of studying women from a feminist native perspective was to explore their work with koloa through shared lived experiences. Information about women’s work was developed from interviews, a survey, and observations. 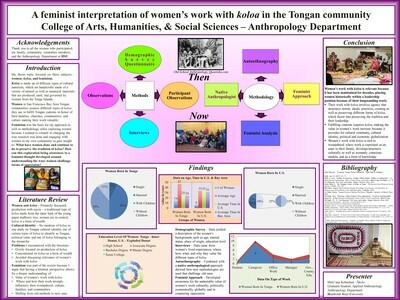 Methodologies such as a feminist native approach, feminist analysis, as well as autoethnography were imperative for developing an understanding of why women’s work is relevant as well as explaining that understanding by forming Tongan and Pacific Islander feminist thought. The knowledge I developed confronted aspects of previous research by moving away from producing knowledge overly focused on koloa as a form of wealth, the production of koloa, and overlooking women’s contributions through their work. Realizing women’s work is relevant because it is a resource that can be used to develop cultural knowledge as well as establish culture was a vigilant discovery defending women as respectable, key members of society. 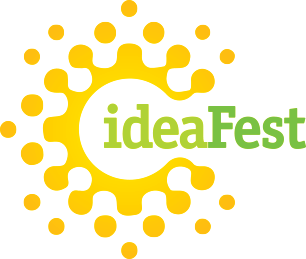 Bringing awareness to their lasting work involved changing from conventional ways of doing research to incorporating new methods to produce information.